1.2. Customer shall be liable in case it utilizes bandwidth/data transfer in excess of what he has agreed for and shall reimburse V-Connect Systems & Services Private Limited for such excess usage per GB (as per the excess usage charges indicated in the proposal). Bandwidth/data transfer usage shall only be monitored through MRTG (a bandwidth monitoring software, info of which is available on www.mrtg.com) using Simple Network Management Protocol (SNMP) to measure data transferred. The reports obtained from MRTG will be final and binding on Customer. V-Connect Systems & Services Private Limited at its own discretion reserves the right to change the Bandwidth/data transfer usage-monitoring software an intimation of which shall be given to the Customer. Moreover, V-Connect Systems & Services Private Limited shall not be responsible for any excess/normal usage if the traffic generated is due to some malfunction of hardware, software or due to configurations done by the customer. The customer also agrees that it will be paying for the excess usages generated by any virus/Trojans, etc. 1.3. All payments shall be made by Direct Transfer(NEFT/RTGS), Cheque or Demand Draft drawn in favor of ‘V-Connect Systems & Services Private Limited’ payable at New Delhi, No Outstation Cheques shall be accepted. Customer shall pay payments in advance for the service period. V-Connect Systems & Services Private Limited shall raise invoice atleast 15 days before the start of the period and send the same to the customer. All invoices shall be due and payable within fifteen (15) days of V-Connect Systems & Services Private Limited’s date of invoice. Customer shall be liable to pay interest at the rate of one and half percent (1.5%) per month on all overdue and unpaid invoices. 1.4. Customer shall pay, indemnify and hold V-Connect Systems & Services Private Limited harmless from all sales, service, value-added or other taxes of any nature, other than taxes on V-Connect Systems & Services Private Limited’s net income, including penalties and interest, and all government permit or license fees assessed upon or with respect to any fees (except to the extent Customer provides V-Connect Systems & Services Private Limited with a valid tax exemption certificate). If any applicable statutory provision of law requires Customer to withhold amounts from any payments to V-Connect Systems & Services Private Limited hereunder, then Customer shall affect such withholding, remit such amount to the appropriate taxing authorities and promptly furnish V-Connect Systems & Services Private Limited with tax receipts evidencing the payments of such amounts. 1.5. We as a merchant shall be under no liability whatsoever in respect of any loss or damage arising directly or indirectly out of the decline of authorization for any Transaction, on Account of the Cardholder having exceeded the preset limit mutually agreed by us with our acquiring bank from time to time. 2.1.1. In the event of any expiration or earlier termination of services, Customer will be obligated to pay to V-Connect Systems & Services Private Limited full contract period fees and charges unless such termination is the result of V-Connect Systems & Services Private Limited’s default, the payment of any waived or discounted installation fees, as well as monthly fees for each remaining month of the term of the affected services. In addition, if Customer fails to pay any invoice(s) for fifteen (15) days or more from the date of such invoice, Customer V-Connect Systems & Services Private Limited shall terminate access to Dedicated or VPS servers belonging to the customer and re-format them for use of another customer. 2.1.2. V-Connect Systems & Services Private Limited can terminate the services to the Customer in its sole discretion, if it is established that the Customer has used the service fraudulently, unlawfully or abusively. 2.1.3. On termination of services, shall remove all of the Customer’s electronically stored data from V-Connect Systems & Services Private Limited’s facilities without liability of any kind to the Customer. 2.1.5. For any deprovisioning, Customer has to follow the process as outlined here. 2.2.1. Monitoring Equipment: V-Connect Systems & Services Private Limited shall install the monitoring equipment to monitor the bandwidth usage, service usage, etc. The server can be affected by activities, which are not controllable, by V-Connect Systems & Services Private Limited even after the installation of the equipment. (At present V-Connect Systems & Services Private Limited is using MRTG Software) V-Connect Systems & Services Private Limited’s liability in the event of loss to the customer due to activities which are not controllable by V-Connect Systems & Services Private Limited including without limitation, virus attack to the customer is NIL. V-Connect Systems & Services Private Limited is not liable for any damages, if any loss occurs to the customer due to the activities, which are not controllable by V-Connect Systems & Services Private Limited like virus attack, etc. 2.2.2. Data Transfer: Data Transfer is used for the following traffic but not limited to: HTTP requests and response, incoming and outgoing email, mailing list distribution, both outbound and inbound data transfer from your account. 2.2.3. Customers Duties: Customer shall document and promptly report all errors or malfunctions of the software to V-Connect Systems & Services Private Limited. Customer shall maintain a current back up copy of all programs and data. Customer shall ensure that all legal compliances or formalities as per the Cyber laws and other applicable laws/regulatory framework are fulfilled. Customer shall be responsible for the security of its applications and at no point of time, V-Connect Systems & Services Private Limited can be held responsible if the security is breached. 2.2.4. Request of Service: Server On/Off by V-Connect Systems & Services Private Limited will not be done unless and until either it receives a duly authorized confirmation from listed technical contact from the Customer. Further, V-Connect Systems & Services Private Limited owes no responsibility for hardware/software crash or corruption of data due to Server On/Off at the request of Customer or such other reasons, which are uncontrollable from V-Connect Systems & Services Private Limited’s end. V-Connect Systems & Services Private Limited’s liabilities in such circumstances are nil, and Customer shall indemnify and hold V-Connect Systems & Services Private Limited harmless against any such claim, action, suit or proceeding. 2.3.1 Customer shall not interfere with the networks and servers of any other Customers of V-Connect Systems & Services Private Limited or such other Customers’ use of V-Connect Systems & Services Private Limited’s facilities. 2.3.2 Assumption of Risk: Customer hereby assumes any and all risks associated with Customer’s, its agents’ (including contractors and sub-contractors) or employees’ use of the Space and shall indemnify, defend, and hold harmless V-Connect Systems & Services Private Limited from any and all claims, liabilities, judgments, causes of action, damages, costs and expenses (including reasonable attorneys and experts fees), caused by or arising in connection with such use. 2.4.1 Customer content: Customer must acknowledge that V-Connect Systems & Services Private Limited exercises no control whatsoever over the content of the information passing through Customer’s site(s), and that it is the sole responsibility of Customer to ensure that the information it and its users transmit and receive complies with all applicable laws and regulation and these rules and regulations. o Engage in any activities or actions that infringe or misappropriate the intellectual property rights of others, including, but not limited to, using third party trademarks without appropriate permission or attribution, and using or distributing third party information protected as trade secret information in violation of a duty of confidentiality. o Engage in any activity/ies or actions that would violate the personal privacy rights of others, including but not limited to, collecting and distributing information about Internet users without their permission, except as permitted by applicable law. o Send, post, or host harassing, abusive, libelous or obscene materials or assist in any similar activities related thereto. o Intentionally omit, delete, forge or misrepresent transmission information, including headers, return mailing and Internet protocol addresses. 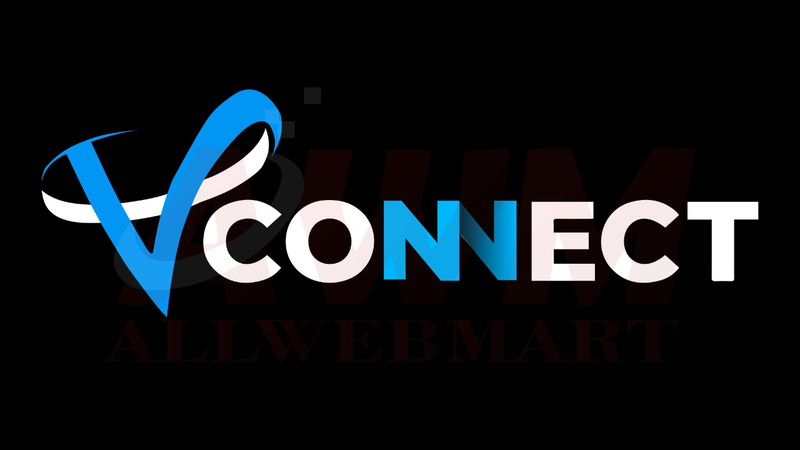 o Use the V-Connect Systems & Services Private Limited connectivity services for any illegal purpose, in violation of any applicable laws or regulations or in violation of the rules of any other service provider’s websites, chat rooms or the like. o Assist or permit any person in arranging any of the activities described above. If Customer becomes aware of any prohibited activities, Customer will use all efforts to remedy such prohibited activities immediately, including, if necessary, limiting or terminating user’s access to Customer’s online facilities. 2.5.1 In the event V-Connect Systems & Services Private Limited receive(s) complaints from third parties regarding prohibited activities allegedly being conducted by a Customer or its Users, due to the nature of the business in V-Connect Systems & Services Private Limited’s experience, most legitimate complaints and actual prohibited activity is conducted by Customers and users of V-Connect Systems & Services Private Limited’s Customers, not by V-Connect Systems & Services Private Limited’s Customer themselves. V-Connect Systems & Services Private Limited requires its Customer to use policies similar to these rules and regulations. V-Connect Systems & Services Private Limited may take the following actions to document and resolve each complaint received by V-Connect Systems & Services Private Limited related to Customer or its Users. 2.5.2 First Complaint: Upon receipt of the initial complaint from a third party regarding prohibited activity by a Customer or its users, V-Connect Systems & Services Private Limited will send notice of the complaint to Customer and request the Customer to stop the prohibited activity. 2.5.3 Second Complaint: Upon receipt of a second complaint after the date of first complaint relating to prohibited activity of Customer described in the first complaint that clearly indicates that the prohibited activity continued after the date of first complaint, V-Connect Systems & Services Private Limited will send a letter/Email to Customer and request that Customer respond in writing to V-Connect Systems & Services Private Limited with an explanation and timeline of the actions to be taken by Customer to remedy prohibited activity. In the event that Customer does not respond to the V-Connect Systems & Services Private Limited letter/email and remedy the Prohibited activity within five (5) business days, V-Connect Systems & Services Private Limited will bill Customer in the following month a minimum sum of five thousand five hundred rupees only (Rs. 5,500/-) per instance of prohibited activity to cover V-Connect Systems & Services Private Limited’s administrative cost associated with the Prohibited Activities of Customer. 2.5.4 Third Complaint: Upon receipt of a third complaint after the date of second complaint related to the prohibited activity of Customer described in the second complaint that clearly indicates that the prohibited activity continued after the date of the first complaint, V-Connect Systems & Services Private Limited will send a final letter/email with a copy of the third complaint to the Customer and request again that the prohibited activity cease immediately. In the event that the prohibited activity does not cease within five (5) business days, V-Connect Systems & Services Private Limited will terminate or suspend its connectivity service to its Customer, and will resume providing services only when it is informed in writing that the prohibited activity has been stopped by him or his user. V-Connect Systems & Services Private Limited also reserves the right to bill its Customer fifty thousand rupees only (Rs. 50,000/-) per instance of prohibited activity towards V-Connect Systems & Services Private Limited’s administrative costs associated with the prohibited activity. 2.5.5 Notwithstanding the above, Further, V-Connect Systems & Services Private Limited, seeing the gravity of the prohibited activity, may discontinue its service even after the first complaint at its sole discretion and V-Connect Systems & Services Private Limited can also vary the minimum charges as specified in the preceding clauses at any time by displaying the same on its web site and the Customer accepts the same and shall be binding on him. 2.5.6 Abuse of Service: Any use of V-Connect Systems & Services Private Limited system resource that disrupts the normal use of the system for other V-Connect Systems & Services Private Limited’s Customers shall be considered to be abuse of system resources and is grounds for administrative intervention. Spamming is one example of system abuse. 2.5.7 Depending on the nature of and the severity of the abuse, the user/Customer may receive an e-mail warning or have their account suspended by V-Connect Systems & Services Private Limited Technical Support. If the misuse is unintentional, the suspension may be rescinded at the discretion of the Operations Manager of V-Connect Systems & Services Private Limited, and may require the payment of a service re-activation charge, which shall be at least Rupees Ten Thousand (Rs.10,000) per server. Occasionally, unintentional misuse is mis-classified as intentional misuse. Customers who believe their activity has been mis-classified may appeal to the Operations Manager of V-Connect Systems & Services Private Limited. 2.5.8 Violations of any of the V-Connect Systems & Services Private Limited conditions of use are unethical and may be criminal offences. Customer shall to report to V-Connect Systems & Services Private Limited any information that it may have concerning instances in which the conditions of use have been or are being violated. When V-Connect Systems & Services Private Limited becomes aware of possible violations, it will initiate an investigation. At the same time, in order to prevent further possible unauthorised activity, V-Connect Systems & Services Private Limited may suspend access to services to the individual account in question. Confirmation of violations may result in cancellation of the individual account and/or criminal prosecution. The account suspension may be rescinded at the discretion of the Operations Manager, following payment of a reactivation charge. 2.5.10 V-Connect Systems & Services Private Limited shall not be responsible for any third party software neither shall it be responsible for damage caused by such software. Further V-Connect Systems & Services Private Limited for a charge at the request of the customer may configure the third party software with the Customer’s equipment, the configuration of the software shall be done as per the instructions of the third party, V-Connect Systems & Services Private Limited shall not be liable for any damages arising due to configuration of the third party software with the customer’s equipment. 2.6.1. Scheduled Maintenance: V-Connect Systems & Services Private Limited will conduct routine scheduled maintenance of its Internet Data Center Services according to the maintenance schedule posted on V-Connect Systems & Services Private Limited’s World Wide Web sites. In the event that a mission critical maintenance situation arises, V-Connect Systems & Services Private Limited may have to perform emergency maintenance at any time. During these scheduled and emergency maintenance periods, Customers equipment may be unable to transmit and receive data and Customer may be unable to access Customer equipment. Customer agrees to co-operate with V-Connect Systems & Services Private Limited during the scheduled and emergency maintenance periods. 2.6.2. Support: V-Connect Systems & Services Private Limited gives the Customer round the clock support, monitoring, fault reporting and maintenance of the networks and systems at V-Connect Systems & Services Private Limited. V-Connect Systems & Services Private Limited provides warranty support to the equipment supplied by V-Connect Systems & Services Private Limited as per the terms and conditions of the manufacturers. V-Connect Systems & Services Private Limited will not perform maintenance of any hardware problem of the equipments, which are not sold by V-Connect Systems & Services Private Limited. Use of system resources that disrupts the normal use of the system for other V-Connect Systems & Services Private Limited Customers is considered to be abuse of system resource and is ground for administrative intervention including but not limited to immediate termination of services without any refunds. In no event shall V-Connect Systems & Services Private Limited be liable for special, incidental, consequential damages of any nature, for any reason, including without limitation the breach of these Terms and Conditions, whether such liability is asserted on the basis of contract, tort (including negligence or strict liability) or otherwise, even if V-Connect Systems & Services Private Limited has been warned of the possibility of such damages, and notwithstanding any failure of essential purpose of any limited remedy. V-Connect Systems & Services Private Limited’s ENTIRE LIABILITY TO CUSTOMER CONCERNING PERFORMANCE OR NON PERFORMANCE BY V-Connect Systems & Services Private Limited OR IN ANY WAY RELATED TO SERVICES OFFERED SHALL NOT EXCEED THE AMOUNT RECEIVED BY V-Connect Systems & Services Private Limited FROM CUSTOMER DURING THE PREVIOUS ONE(1) MONTH ONLY.